Get your wetsuit on and jump in! 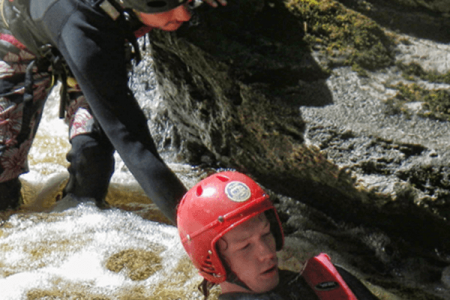 Why not enjoy some of the best canyoning action in Northern Europe on your Stag Do in Scotland? Our deep Scottish canyons provide the ideal play ground for those seeking an adrenaline packed activity for their weekend away in Scotland. It’s fun, it’s serious, it’s wet. A perfect activity for the thrill-seeking stag groups. 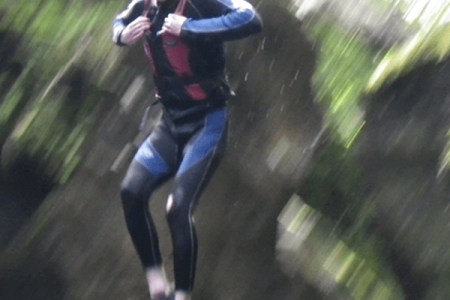 "Canyoning in Perthshire was briliant fun. We got a huge adrenaline rush and the Stag totally didn't expect it, it was such a surprise. Great to be doing something different!" "We came to Edinburgh for a Stag Weekend and Great Away Days organised it all! We done the Mini Highland Games on the Saturday, then a coach picked us up on the Sunday and took us up to Perthshire for Canyoning. Safe to say it cured our hangovers quickly!"